The Art File is a curated online gallery on The Painting Center’s website. Art File artists have a public presence on our website as well as the opportunity to be considered for inclusion in our frequent member and guest-curated exhibitions. Artists selected for an exhibition will be contacted by The Painting Center. These exhibitions may be funded partially by the gallery and by supplemental contributions requested from the participating artists. 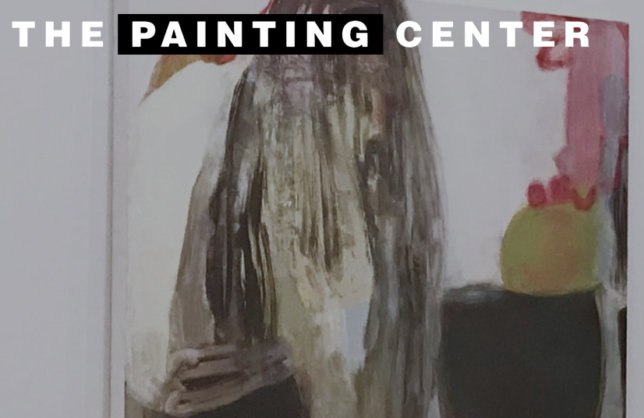 Non-member artists exhibiting at The Painting Center retain 80% of any sale issuing from their exhibition. Email your submission to artfile@thepaintingcenter.org with “Art File Submission” in the subject line. If you are notified that your work has been accepted for inclusion in the Art File, it will be added to the site after your payment of the $75 annual fee has been received.